Notorious terrorist was reportedly deemed a ‘ticking bomb’ by Israel and the West; rejected by Hezbollah, he planned attacks as a ‘freelancer’. 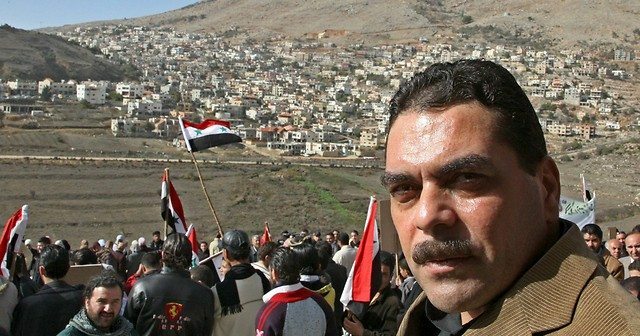 The organization with which Kuntar was working was founded by the Syrian regime to replace the brutal Shabiha (an Alawite militia), which even the Syrian regime opted to reject. Assad’s regime therefore established a less vicious militia, the Syrian National Resistance Committee, which did not engage in the economic and criminal activities of the Shabiha. Farhan al-Shaalan, another senior leader killed Saturday night in the same building where Kuntar ran his secret operation, also belonged to the Syrian National Resistance Committee. The rift with Hezbollah likely occurred because Kuntar was offended. At the end of 2014 and the beginning of 2015, Hezbollah became fed up with Kuntar’s services and appointed in his stead Jihad Mughniyah, son of Imad Mughniyeh (a senior Hezbollah member killed in 2008), as the commander of the new Iranian-Hezbollah front established in the Golan Heights. This organization founded by Hezbollah together with the Iranians was about to begin its activities when Jihad and his men were eliminated in January 2015 by an aerial bombardment attributed by Hezbollah to Israel. 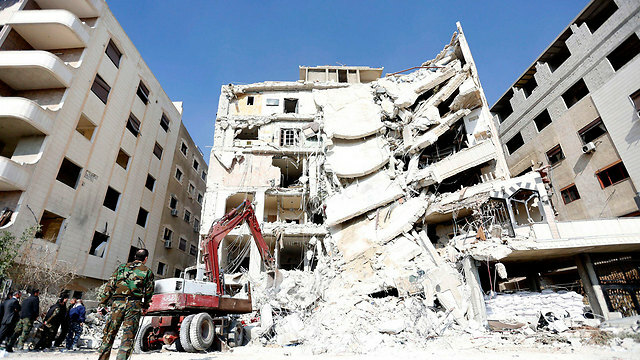 The bombardment also killed an Iranian general, Syrian officers and Hezbollah fighters. Kuntar remained in the Golan Heights even though Hezbollah did not use him there against Israel. However, Kuntar, the notoriousmurderer of most of the Haran family, did not stop planning attacks against Israel and he mainly used his connections in the Druze community. 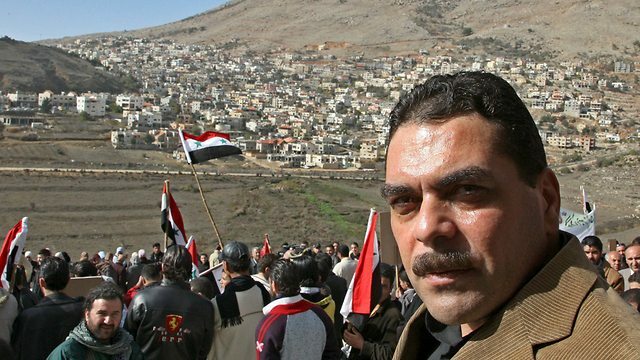 He rented a safe house in the the town of Jaramana, south of Damascus, on the road leading to the Syrian Golan Heights, where he would consult maps and Druze partners who were supporters of the Damascus regime. Western sources believe Kuntar was in the final stages of planning and carrying out another attack against Israel, which senior Hezbollah officials apparently did not know about. 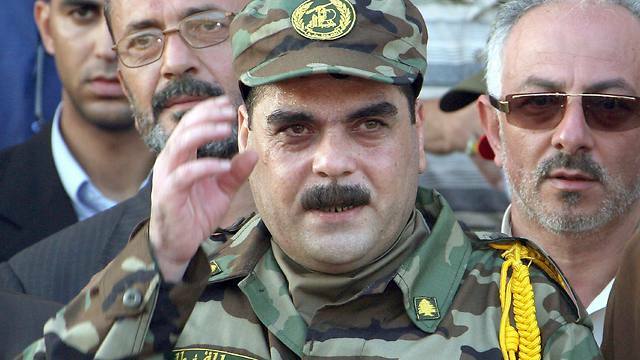 These sources believe that Hezbollah viewed Kuntar as a symbol of Israel’s humiliation because of the circumstances of his release from prison in 2008 and hence did not reject him, even when his operations in 2013 and 2014 were unsuccessful. Recently, Hezbollah officials began to reject his independent activities that were not to their liking. They feared Kuntar would get them involved in a confrontation with Israel by carrying out an attack in the Golan Heights. A successful attack and Israeli intervention would hurt the interests of the Syrian regime, those of Hezbollah, and of course Iran’s strategic interests. This suggests that Kuntar was eliminated because he was considered a ticking bomb by more than one entity in the Middle East. However, there are those who believe that Hezbollah or Iran may try to carry out a revenge attack abroad. What is interesting is that the Syrian regime refuses to lay the responsibility for the incident on Israel and its media is barely covering Kuntar’s killing. The reason is probably that the Syrian regime does not want to be in a situation in which it is forced to respond against Israel.